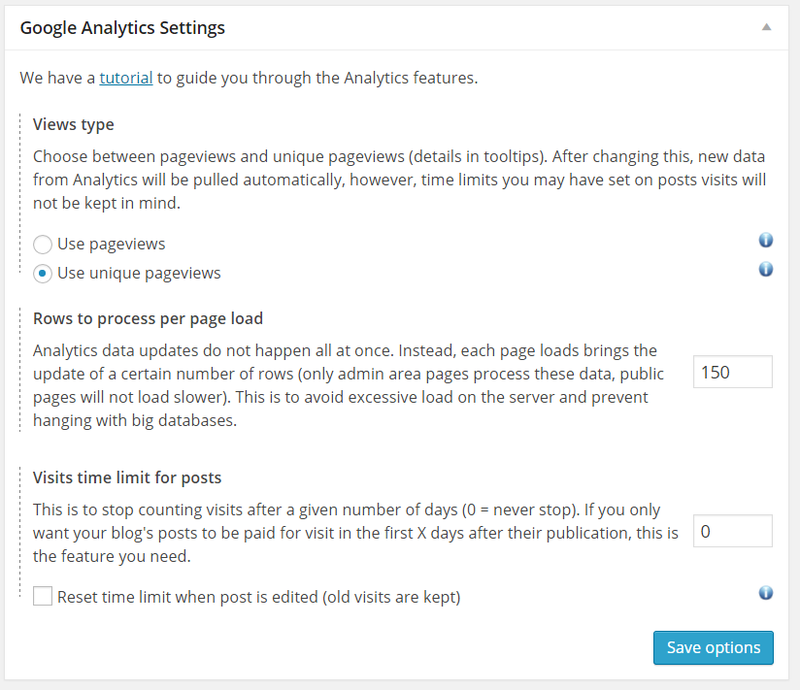 If you are using the Post Pay Counter plugin to calculate and keep track of how much money each author should be paid for their posts, there are currently at least three sure ways to pay authors per visit. Post Pay Counter PRO allows you to automatically pull views data from your Google Analytics account and use it to compute payments. Since Analytics is possibly the most accurate and reliable visits-counting method, this should be the preferred choice. Here is the tutorial on the setup and its working, if you want to know more.